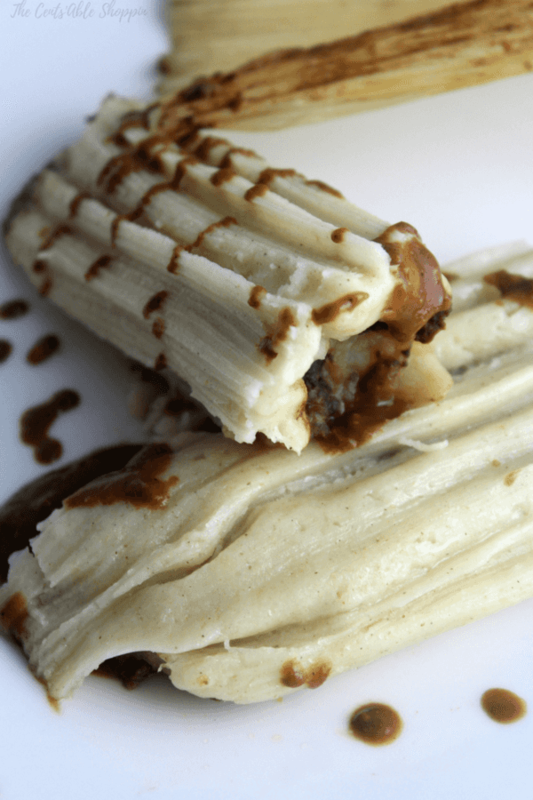 Beautifully mashed potatoes smothered in a rich, fragrant mole sauce come together to make these meatless potato and mole tamales that are Vegan friendly! If you have ever visited a traditional Mexican restaurant or even been to Mexico chances are, you have had tamales. Here in the United States many families, including our own, make tamales fairly often throughout the year. Typically tamales are made at the holidays, but in some cases even more frequent. 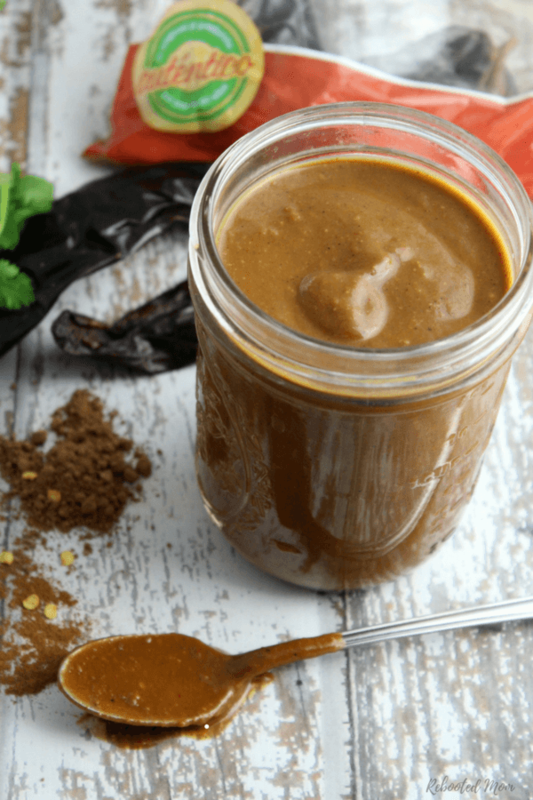 Although I never used to make them in the summer because it would heat up the house with the steamer, I do seem to make them much more often with my Instant Pot. 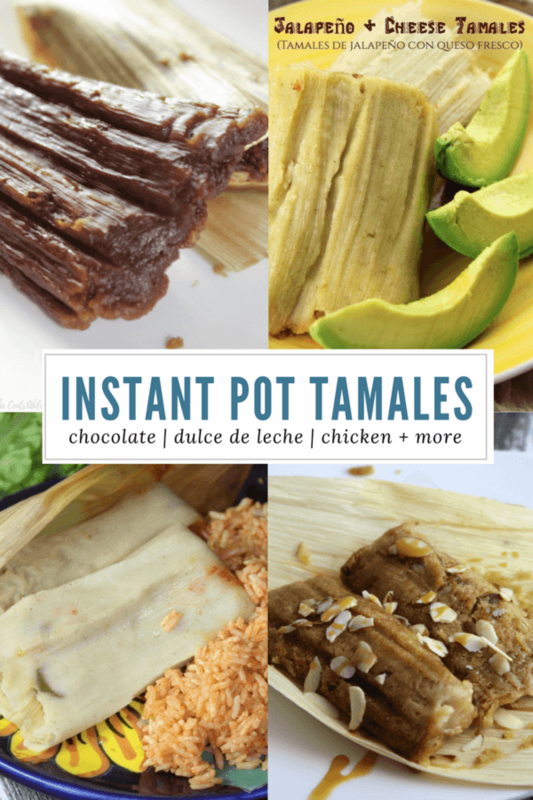 The Instant Pot makes tamales quite a bit faster – you can’t, however, make dozens and dozens at a time. Eighteen or so is the limit (at least in my Instant Pot), which is perfect if you have a small family and you don’t want too many extra. Traditional tamales are usually made with the most popular green chile and cheese, red chile and chicken. 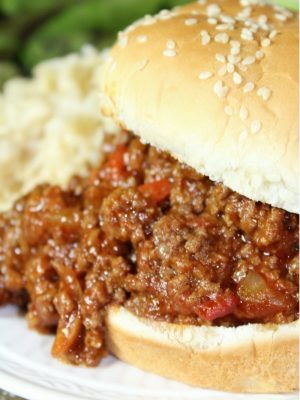 Sometimes they can be made with beef or pork . Sweet tamales are just as popular, and made with raisins, pineapple and sometimes even chocolate. Lets talk about meatless tamales though: are they really even a thing? 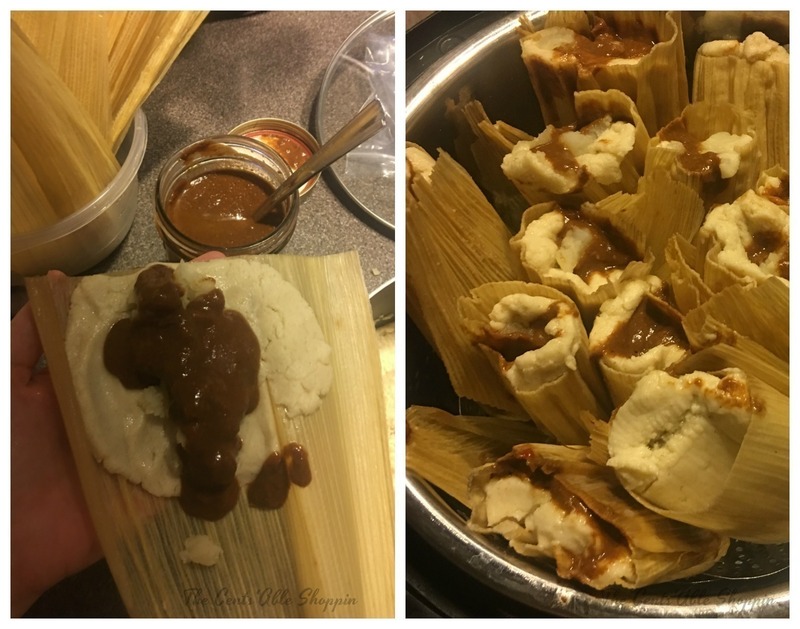 Because really – who makes Mole Tamales? The truth is, sometimes it’s nice to have a variety of tamales that can cater to everyone. By everyone I mean vegetarian and vegans alike. Last week, I had the urge to make mole. As I started to pull out spices and ingredients, I realized I didn’t have any chicken stock. We haven’t picked up meat from our farmer in quite a while so making more wasn’t a viable option. So I grabbed what I had, threw everything together and the result was one of the best mole recipes I have ever made. With an abundance of mole, came the urge to make tamales with what we had leftover. We adapted these tamales to be vegan friendly for some of our family and friends who may appreciate a nice change. 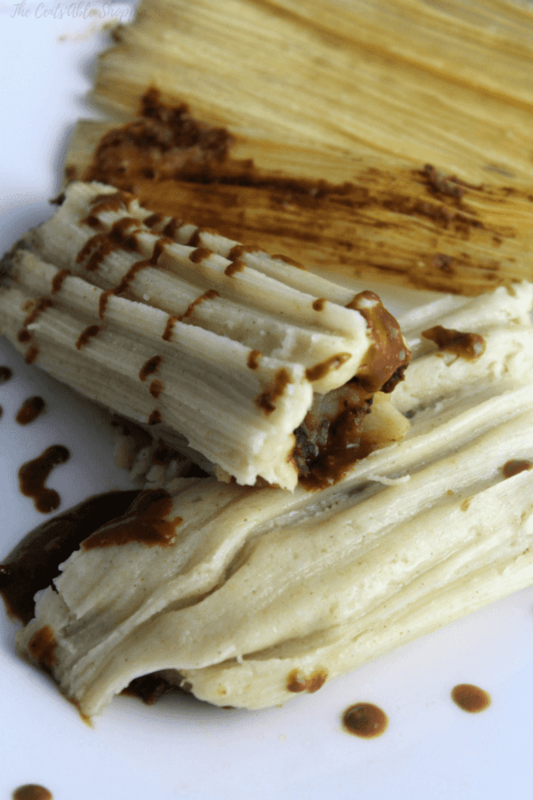 The best part is that these tamales are forgiving – if you would rather use chicken stock, go for it – they won’t be Vegan, but they will still be delicious. Chunky potatoes smothered in a rich, fragrant Mexican Mole and wrapped in a traditional Mexican Tamale - these are vegan friendly and perfect for a meatless Monday! 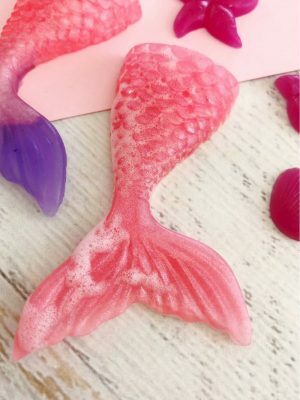 Fill a clean sink with water and place the husks in - set a heavy plate on top to make sure they stay submerged (you may have a few that escape but it's ok). 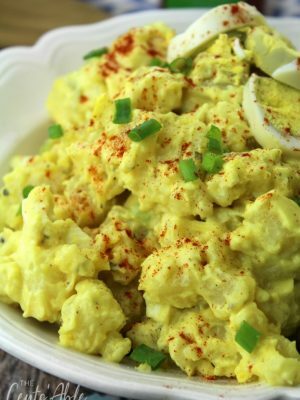 In a medium bowl, combine the roughly mashed potatoes (not whipped!) with onion powder, cumin, garlic powder, and salt until combined. Set aside. In another large bowl, combine the masa, coconut oil, baking powder, water, cumin, onion and garlic powder and salt. Mix until combined and push aside. Set up your assembly area - first, lay a large, damp towel on your counter, grab 8-12 of the husks and shake off some of the water. Place them on the towel and fold the towel over to keep them moist. Then, next to the husks, place your masa, then the potato filling, then the Mexican Mole. Set a large baking pan to the far right to hold the tamales while you assemble. Assemble your tamales: first, spread 3 Tbsp masa on the husks, not too thick - the back of a spoon works well. Place a small amount of potatoes down the middle, followed by a spoon or two of mole. Fold the Tamale into thirds - left, then right, then fold the bottom up - don't squeeze. Leave the tops open and set down in the baking pan you have placed on your counter - the open end facing upwards. Repeat until you have exhausted all masa/potatoes. Your final count will vary - this recipe makes between 13-15. Add 1 1/2 C. Water to a clean Instant Pot; place the trivet inside. Then lay a piece of foil across the bottom trivet (or a steamer rack if you have). Place your tamales standing up (open end UP) -- this recipe makes 13-15 and your pot holds up to 18, so arrange properly so they fit and have room to cook. Place the lid on, lock it, then push manual (High) for 30 minutes. Push the keep warm button if you don't plan on serving them immediately. Keep the husks on until ready to serve. 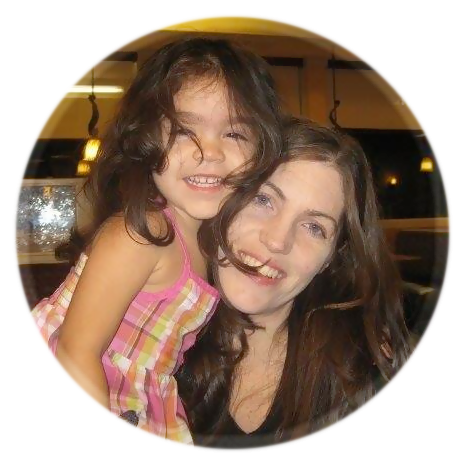 Final count may vary by size - this recipe can make anywhere from 13-15 medium size tamales. 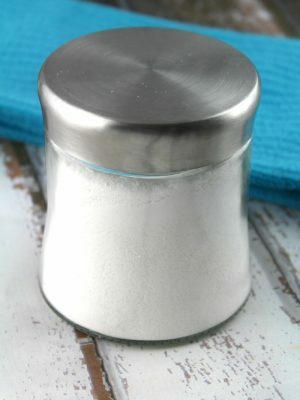 *If you have gluten sensitivity, ensure you are using a gluten-free baking powder and that your spices are gluten free. Spices will often have anti-caking agents that are wheat derived.